ABOUT about us Why NU? Norton University is the first private university in Cambodia, established on December 2, 1996 by Professor Chan Sok Khieng. It started to offer classes in December 1996 and was recognized as a university by sub-decree on September 18, 1997. The institution was formally inaugurated in a ceremony on February 28, 1997 attended by Samdech Hun Sen, Prime Minister of the Royal Kingdom of Cambodia A further sub-decree, No. 47 by the Royal Government of Cambodia, dated of July 25, 2000 approved its reformation, giving it the “rights and privileges” to “open faculties, departments, and conduct postgraduate degree courses or any professional courses as required for the society and the country”. 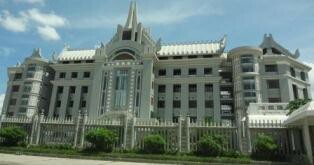 The Graduate School started in 2001 in affiliation with the Ateneo de Zamboanga University of the Philippines. The diplomas for the first two MBA classes were signed by the President of Norton University and the Ateneo de Zamboanga University respectively. In 2001 NU awarded its first Bachelor's Degrees to 453 graduates of Business, Economics, Law and Computer Science.